Since both Mike and I have not succumbed to the pressure of creating a Facebook account, we don’t have any Facebook photos to post for today. I did, however, find one of my favorite iPhone photos that I probably would have posted on Facebook if I had an account. Last year Mike went skiing with his Dad and brother in Colorado. Sophia and I went to the airport to pick him up after his trip. She wanted to bring Daphne with to greet him. 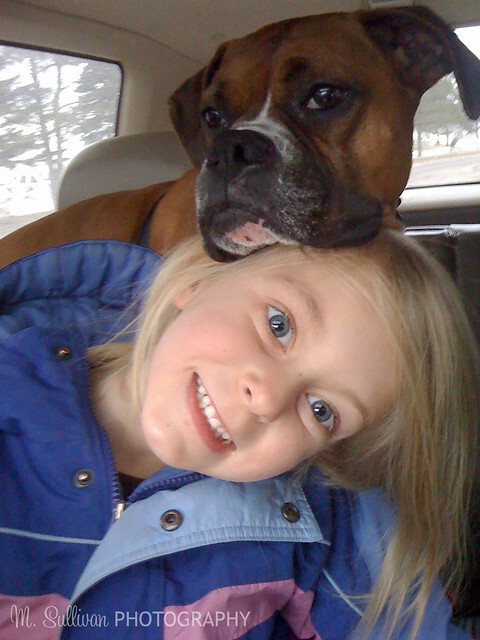 While they were waiting in the car, they got a little silly.